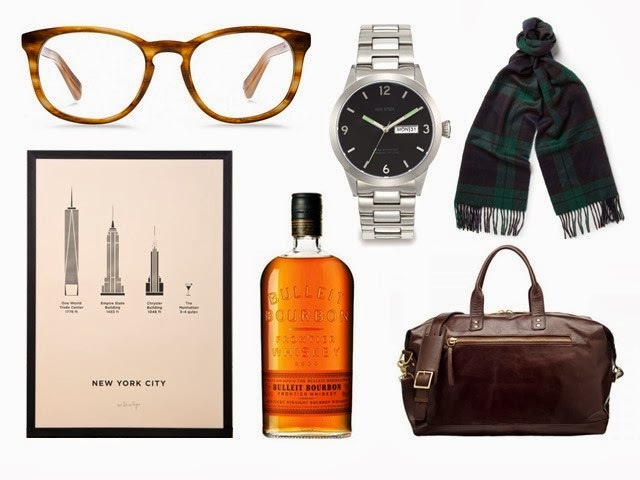 So here we go—gifts for guys. Over on Lifestyle Mirror, I've selected 20 choice gifts, ranging from an engraved razor and shave kit from Harry's to a ridiculously fancy axe from Best Made. Peep the whole guide over on Lifestyle Mirror. I want that NYC print for myself!